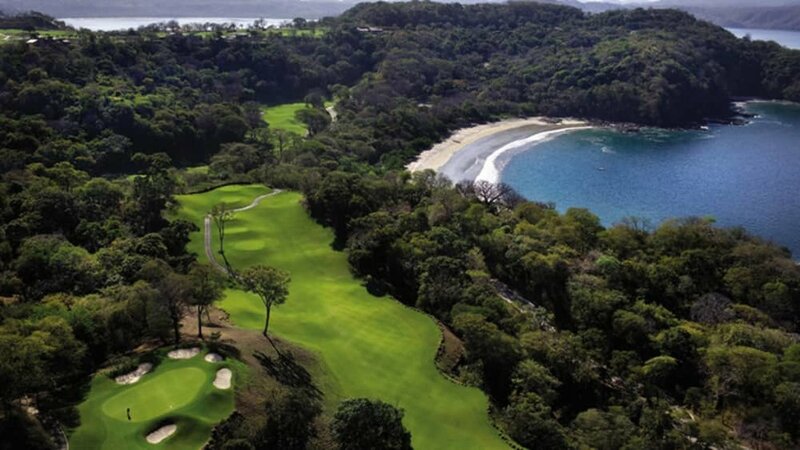 Your stay at either villa comes with access to all of the amazing features of Peninsula Papagayo - Central America's most luxurious resort property. It will be hard to pull yourself away from the recently renovated Prieta Beach Club featuring three beach-inspired signature culinary and cocktail venues (Olas Restaurant, Sunset Lounge and Surf Bar), a new two-story gym, spa, spacious event venue, choice of beach toys and indulgent pool experience. It is also home to the Kid's club and Explorer's program. Contact us for more information on fitness classes and spa offerings. For tennis enthusiasts, Peninsula Papagayo offers four courts with the clay-like Har-Tru surface, as well as a grass tennis court. Located at the Golf Club, the tennis program is managed by world-renowned Peter Burwash International. Private lessons, clinics and player match-ups are available, as well as tennis equipment and accessories. Designed by Arnold Palmer, this 18-hole, par-72 championship golf course and member of the International Association of Golf Tour Operators (IAGTO) was designed with the resort golfer in mind and is ranked among the "Top 100 Courses Outside the United States" by Golf Digest. The Resort also offers a driving range, a sand-bunker practice area and putting and chipping greens. Contact us for course and rental rates. Peninsula Papagayo’s 11 restaurants offer a full range of fine dining and casual fare for every taste and occasion. From local Costa Rican fare to Italian seafood and a traditional steakhouse - the Peninsula has all tastes covered. As guests of either villa, your concierge can make you reservations at any of restaurants both on and off peninsula. If you are feeling like staying in, our concierge can also arrange for private-chef service. The perfect starting point for your fishing charter or yacht experience. Captains and crews enjoy a high-tech harbor that offers state-of-the-art facilities and shoreside services. There’s a Ship Store, dockside Marina Concierge, on-site customs and immigration clearance, fuel, electricity, water, slip pump-out, trash removal, dock-hand boat services, Wi-Fi, laundry, ship security and more! Our concierge can arrange a myriad of tours and in-house services...all you have to do is ask. We have arranged private yoga/fitness classes, fishing charters, cooking classes, private helicopter tours, sushi parties...and the list goes one. Just ask and we will try our best to make it happen.